Can you list 8 things the average Joe doesn’t know about professional Bodybuilders or Pro Bodybuilding in general? Ok, so I have a little fun answering this question. Here is a list of 10 things the public doesn’t know about professional Bodybuilding, or may be totally aware and honestly could care less. Also this list isn’t specifically in regard to Pro Bodybuilding; this list certainly applies to armature bodybuilders as well. In addition, some facts listed apply to Physique athletes as well as figure competitors and some fitness athletes. 1. 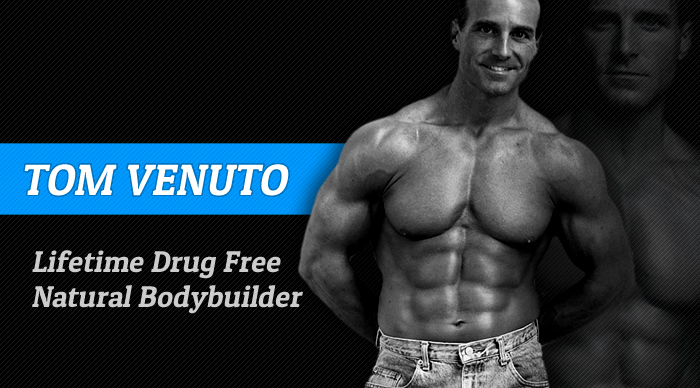 It is absolutely impossible to become a competitive IFBB Professional Bodybuilder without using Androgenic Anabolic Steroids, Human Growth Hormone and many other performance enhancement drugs…Period! There is literally NO WAY you can win a national Bodybuilding competition without using AAS!! Absolutely every single competition you see on the USA Championship stage, The Nationals, The North American ect… ect… are using or have used steroids and other PED;s. In addition, every single currently competing IFBB Pro Bodybuilder is using ridiculous dosages of AAS and Human Growth Hormone. Much to the surprise of you reading this, most figure, physique and fitness athletes use steroids as well…low dosages, but using just the same. I’ve personally known many champion fitness athletes that have partaken in pharmaceutical aids giving them that winning edge. 2. 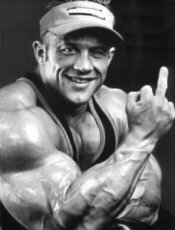 Roid Rage is not factual…it’s nothing more then a theory invented by psychologists and psychiatrists. In all the 20 years I used steroids, I’ve never experienced or witnessed a bodybuilder or a weight lifter suffers from Roid Rage episode while using AAS. It’s complete and utter rubbish!! Truth is, when you see or experience the irritability, or frustration or witness a fit of anger of a bodybuilder, it is not due to the use of steroids, it’s because of the extreme diet and endless days of starvation they’re going through. When’s the last time you saw a off season bodybuilder lose his or her temper while having a full belly? Everyone gets hyper sensitive and irritable when they are hungry. Humans inherently become easily frustrated and angry when famished!! Funny thing is, there are literally countless acts of violence in the USA each and every day, none of which have anything to do with using steroids. But the moment a bodybuilder or professional athlete in general is involved in a violent altercation or fit of anger…it’s “Roid Rage”! And when it happens, you see psychologists who’s never step foot in a gym, saying “Ah yes, he was addicted to steroids and as a result experienced a severe fit of “Roid Rage” typically stemming from abusing clinical dosages”. Absolute crap! 3. Gas!! Insane amounts of gas develop from eating 6-7 meals a day…its ridiculous! Imagine for a moment eating a large meal, 80 grams of protein in each feast and then multiply that meal by six. Good lord have mercy! You definitely have to be with that special someone you’re comfortable with. If you have to leave the room every single time you farted…you’d never see that person. And then you have contest prep carb loading, it’s much worse. A bodybuilder goes through 12-16 meals of extreme carb depletion and then does a carbohydrate load (the consumption of large amounts of carbohydrates) the last 48-72 hours prior to competition day. I’ve actually known Pro Bodybuilders to reserve separate rooms so their girlfriends or wife doesn’t have to gag on the stench of gas all day and night. Bodybuilders produce enough gas in a single day to provide energy for the city of Los Angeles. 4. Only a small percentage of Pro Bodybuilders make six figures a year. In fact, most Pro Bodybuilders struggle considerably to pay their bills and turn to alternative methods to generate income to pay for PED’s, HGH and groceries. I was a exceptionally good bodybuilder in that I had a flair for marketing and promoting myself. In Bodybuilding, one of the most important aspects of the industry is exposure. The most exposure you generate by way of media, including magazines, file and internet, the more in demand you are resulting in more money. Sadly only a handful of Pro bodybuilders make what is considered good money. 5. “Muscle Worshipers”. There is an entire nation, a cult in a sense of people comprised of mostly men, gay and straight who experience great sexual gratification from looking at and touching muscle. Muscle worshipers pay generous sums of money for what’s referred to in the bodybuilding industry as “Private Posing”. From what I have been told, “Private Posing” is anything from a actually posing routine performed while the muscle worshiper masturbates, or a hands on full body massage and sometimes sexual acts ensue. I’ve known many Pro’s practice the act of “Private Posing”. In fact, Greg Kovacs has admitted in several articles he charged $1,000 US dollars for a “Private Posing” session. Truth be told, more Pro Bodybuilders then not have “Private Posing” clients. Jason Arntz, Tom Prince, Dennis Newman, Chris Cormier, Shawn Ray and many others have all dabbles in “Private Posing” for wealthy muscle worshipers. Despite the fact I except people for who they are, gay or straight, I was never comfortable with the thought of “Private Posing”. 6. Posing trunk sales… many bodybuilders and fitness athletes sell their dirty posing trunks and competition suits to the highest bidder. If you have nay doubt whatsoever, go to some competitive bodybuilder’s web-site and inquire. Over the years I’ve had more offers then I can count, to mail my dirty, unwashed posing trunks to individuals for large sums of money. Weird or strange? Yes, absolutely, but true and very prevalent in the fitness industry. The demand is much greater for fitness medals and the athletes worn, unwashed bathing suits. I remember having a conversation with a very famous fitness model where she told me about her sales. She never mailed unwashed suits, however she died spray them heavily with her perfume. 7. Female “Mo” Wrestling. Many female bodybuilders charge tidy sums of money to wrestle with and essentially beat up men who in the bodybuilding world are referred to as “Mo’s”. Honestly, every female bodybuilder I personally know practiced “Mo”, wrestling. These woman made anywhere from $500-$1,000 for a 30 minute wrestling session. In fact, I’ve seen this practice discussed in several talk shows over the years. Female bodybuilders earn chump change in their respected profession, so “Mo” wrestling offers them another avenue for financial compensation…while being admired and worshipped by the “mo”. 8. Food is always the best supplement! Actual egg whites are the better and more nourishing then egg white protein powder. Believe me when I tell you, the result you’ll achieve in building muscle or getting shredded for a show will be far greater using actual food like steak, fish, poultry, eggs and oatmeal as opposed to protein powders and carb drinks. In fact, I don’t know any professional bodybuilder, myself included, who used carbohydrate and meal replacements drinks while preparing for competitions…not one. The only power I ever used or that I was aware others were consuming is, whey protein directly following a training session. When I was done training, it was 60 grams of whey protein and then quickly to the sushi bar. We didn’t use carb load drinks, muscle amplifying drinks, energy drinks or any other bottle of promise!! When you get prepared for competition…use food. Keep in mind when you study current Pro Bodybuilders contest diets, that chances are their not totally forthcoming. You have to ask yourself which supplement company endorses the athlete sharing his contest prep diet? More then likely all the shakes and supplements listed in the diet are products that the bodybuilder endorses. Pro Bodybuilders don’t use shakes while preparing for completion, they use food! Because of endorsement contract obligations, the bodybuilder who represents a company must say he or she used that product whether it’s a true claim or not. Truth is, at one time in my career, I made many claims I used Met-Rx while preparing for the 1996 USA Championships…I did not. Could Our Minds Be Tricked Into Satisfying Our Stomachs?